Location: 5890 Potomac River Rd. 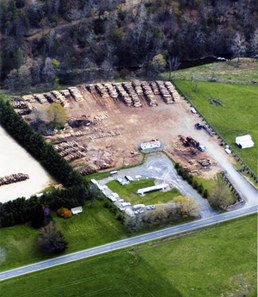 Located in Monterey, Virginia on Route 220 North just 3 miles from the West Virginia State line is the Highland County Log Yard. This location is a log landing for Highland and Bath counties in Virginia as well as Pendleton, Grant, Hardy and Hampshire Counties in West Virginia. 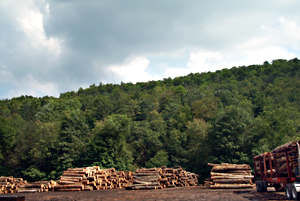 The Highland County Log Yard is a grade yard which accepts first and second cuts from the following Appalachian hardwood species: White Oak, Red Oak, Hard and Soft Maple, Cherry, Poplar, Ash, Basswood, Walnut and Birch. Logs are received from 7:00 am to 5:00 pm Monday through Friday. Payment is issued on Friday for all logs received by 5:00 pm on Wednesday. Please contact Mark Campbell with any questions.